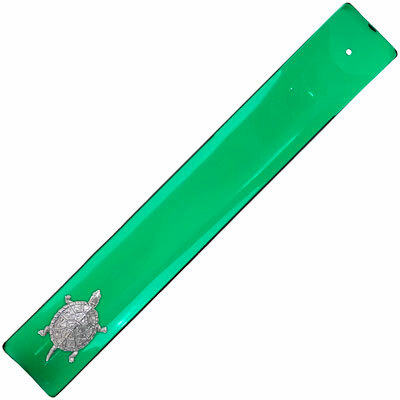 Beautiful Art Glass Incense Holder with a terrapin turtle design. This green colored glass incense burner is individually cut, sanded and fired in a kiln at a precise temperature to preserve its beautiful finish. Easily washable. Made by our neighbors up north in Canada. Measures approx. 10 1/2" long.